Considered a leading figure of Southeast Asian literature, the multi-talented Prabda Yoon also has extensive experience in filmmaking. His films question the issues of globalization versus cultural specificity, the sense of belonging, and creation of social memory. We interviewed him after the world premiere of his second feature film, Someone from Nowhere,at the 30th Tokyo International Film Festival. Born in Bangkok in 1973, Prabda Yoon is an award-winning author, artist, and filmmaker. Yoon studied art and design at The Cooper Union in New York City, where he became familiar with art films and made several experimental animations. 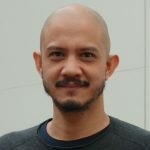 Yoon wrote two screenplays for Pen-Ek Ratanaruang, the acclaimed Thai New Wave director, and made his own feature film debut in 2016 with Motel Mist. The world premiere of Someone from Nowhere, his second feature, was at the 30th Tokyo International Film Festival 2017. Ken Takiguchi (hereinafter Takiguchi): Let me begin with a question about how you are active in different fields: you are well-known as an author but have been working in the field of cinema as well. Do these two fields influence each other; do they each affect your work in the other field? Or do you consider them as rather different and separate practices? Prabda Yoon (hereafter Yoon): Making films has always been one of my artistic interests, so, it is very exciting and challenging as well to make films. I am actually interested in many things―the visual arts, design, photography, music, and, of course, writing. And all together, these things make up a film. So I think it was quite natural that I ended up making films. Takiguchi: You wrote two screenplays, Last Life in the Universe (2003) which you co-wrote with Pen-Ek Ratanaruang and Invisible Waves (2006) before directing your first feature Motel Mist (2015). What made you wait nearly ten years before actually directing a film yourself? Yoon: I had always been interested in filmmaking but I just never thought that I would have the opportunity to make one. It always seemed to be something beyond my ability because it involves so many people and so much money. I am not good at fundraising; writing is easier for me. The opportunity of directing my first film came quite accidentally. I actually wrote the initial draft of Motel Mist for another director, but he did not want to make it. Then I gave it to my friend who was in the independent film industry because I still thought it had potential to become an interesting film. She introduced me to Soros Sukhum who eventually produced the film. Takiguchi: I have only watched the trailer of Motel Mist since it has not been screened in Japan. However, even from just the short clips, I was very much impressed by the vivid use of color. And I just watched your new film, Someone from Nowhere, and was just as impressed, this time by the sheer contrast in it being monochrome. Yoon: Well, it is like writing different books. For me, each story has its own look and its own sound. Someone from Nowhere happens to be quite monotone, monochromatic, and plain because I wanted to make it a different kind of thriller. It is meant to be a thriller and a drama but I did not want to use the style of a typical thriller or film noir. I wanted it to be the opposite; something that is visually nice and warm, but narrative-wise is nothing like that. Takiguchi: In one of the scenes in Someone from Nowhere, there is a shot of the entrance door to the protagonist's apartment, and on the door there is a card that reads, "There Is No Place Like Home." I read that the initial working title for your first screenplay, Last Life in the Universe, was "I am Home." I am wondering if there is any connection. What does "home" mean to you? Yoon: That is an interesting point. For me, "home" is not a physical thing; it is not a condominium or a house. It is more of a feeling. For example, in Last Life in the Universe the feeling of being home equals to the feeling of belonging somewhere. If you finally feel that you belong there, it is your home. It can be a group, a country, a society; it can be anything. It is the same in Someone from Nowhere, I think. "There is no place like home" does not necessarily mean....You know, if you take the words literally, it can also mean that there no home; there really is no place like home. In this movie, each of the two protagonists claims that the apartment is his or her home. But it actually does not belong to either of them, or to anybody for that matter. Takiguchi: In Last Life in the Universe, the two protagonists Noi and Kenji find their "homes" in each other. Whereas in Someone from Nowhere, the protagonists do not find their homes. Takiguchi: Does this difference reflect the change in your idea of the home during the last decade or so? Yoon: I would say that the idea of the home is simply different in the two films. The home is more related to personal relationship in Last Life in the Universe; whereas in Someone from Nowhere, it is more of a shared space like the community or society. You can also juxtapose "nation" or "country" in this context. When the concept of home becomes that large and wide it is no longer about two people, and we can no longer say that the home does not belong to anybody. It belongs to everybody. It is difficult to say exactly whose place it is when it belongs to everyone so you have to accept that you do not own a place; you do not own a village, you do not own a country. Instead, you share it with many other people. Takiguchi: Someone from Nowhere opens with a ringtone from an iPhone and some audience members in the theater checked to see whether it was theirs. That ringtone is very universal and does not belong to anywhere or anyone. And the furnishing on-set is quite IKEA-like which, again, is quite mundane now and does not claim much cultural specificity either. I detected those kinds of universality in this film. I did not see any obvious Thai-ness. Yoon: I think it is because I am interested in the current situation surrounding myself. Especially in Bangkok, many people stay in condominiums like the one in the film and have the kind of lifestyles of the protagonists in the film. Basically, they are very similar to people who live in Seoul, Tokyo, New York City, or Paris. There is, for sure, a kind of universality that is driven by globalization, and I wanted to reflect that because that is my life too. Even when I am in Bangkok, I am not particularly living a Thai lifestyle. I do not relate to that. I can relate to a more general, universal way of living. Takiguchi: One prime exception to the universality in this film would be the Thai national anthem that is heard in the climax of the film. What was your intention of inserting the anthem, particularly at that stage of the film? Any, say, nationalistic reasons? Yoon: Well, it was not meant to be nationalistic. This, again, reflects the reality for Thai people. The national anthem is played in public spaces at 8 a.m. and 6 p.m., and people need to stand up to show their respect. This happens every day. So it's a loop. I mean, it is a reality but it is also a strange kind of reality because it is made up. Not every country has this tradition. I wanted to play with this repetition that we encounter every day. In the beginning, there might be those who questioned this tradition. But after a while, nobody questions it anymore. Nobody cares to investigate why we routinely do this every morning and evening. Takiguchi: I somehow feel that the interest in history is on the rise among young Thai artists. Not only in film but also in other art forms. Yoon: I agree. We have been having political problems in Thailand for ten years. Because of the conflict, sometimes it is difficult to decide who is right and wrong. A lot of young people are interested in learning about their own history as a reference. They wish to learn from history. Takiguchi: Are you interested in that aspect too? Yoon: Yes. I would like to seek truth even though sometimes you cannot. I just try to learn about what I am curious about. For a long time, I have been feeling that the students in Thailand are following what the authorities want them to learn by studying the official texts. A lot of people in Thailand are feeling like that. When you see a lot of problems in the society and start questioning them, you have to find your own information to acquire different perspectives. Takiguchi: Does that affect your filmmaking as well? Yoon: I think so, because it gives me the issues or topics to talk about. I am not a political artist but you cannot avoid politics. Takiguchi: I am looking forward to your next film. Thank you very much. Ken Takiguchi is a dramaturg and translator. 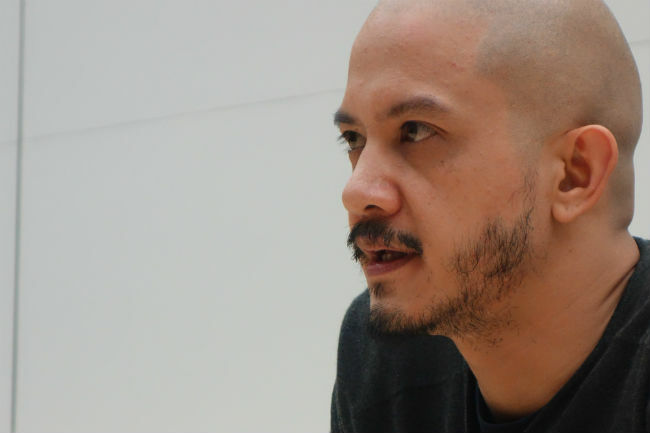 Takiguchi was based in Malaysia and Singapore from 1999 to 2016 and has participated in numerous intercultural theatrical productions. Holding PhD from the National University of Singapore, he is a founding member of Asian Dramaturgs’ Network. He is currently working at Setagaya Public Theatre and teaching part-time at Tokyo University of the Arts.